Tennis happens to be one of those games that pays big to the players, especially those who play at a professional level. 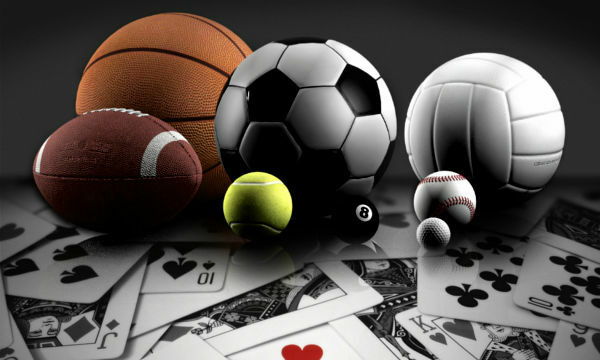 Be it the rising stars such as Andy Murray, or the legends of contemporary tennis world like Roger Federer, even the king of clay court Rafael Nadal, the players who are considered the superstars of the game are known for their high income, besides their skilled hands with the tennis racquet. The amazing players get rewarded for their skills with the prize money they obtain from their ATP and WTA tours, and become even bigger names when the megabrands like Rolex, Nike, Mercedes-Benz, etc. boost their income with sponsorships and sign big cheques for the brand ambassadors. 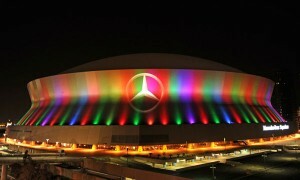 These players enjoy similar stature and popularity as the Hollywood celebrities, through the endorsements. Let us look at the Top 10 Highest Paid Tennis Players 2015. According to the recent ranking by the Association of Tennis Professionals as of 3 November 2014, Swiss professional tennis player Roger Federer is currently holding the world No. 2 place. This year he earns a total of $56.2 million which includes $52 million in endorsements from various companies and $4.2 million worth of prize money. Till now, he has achieved a total of $84 million worth of prize money from his active tennis career. Roger Federer appeared in various campaigns and TV commercials for several of his major sponsors which include megabrands like Nike, Rolex and Credit Suisse. He holds the position of the third highest in the Open Era with his 82 career titles. He has so far won seven Wimbledon titles and also five US Opens. According to the recent ranking by the Association of Tennis Professionals as of 3 November 2014, Spanish professional tennis player Rafael Nadal is currently holding the world No. 3 place. 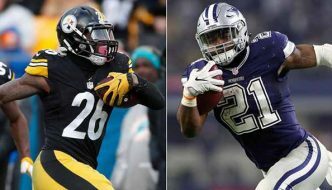 This year he earns a total of $44.5 million which includes $30 million in endorsements from various companies and $14.5 million worth of prize money. Till now, he has achieved a total of $70 million worth of prize money from his active tennis career. Rafael Nadal appeared in various campaigns and TV commercials for several of his major sponsors which include megabrands like Gillette, Rolex, Mercedes-Benz, Lindt and Moët &amp; Chandon. 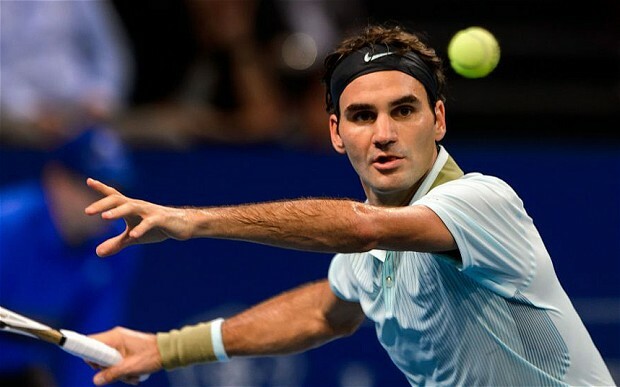 He occupies the position of fifth highest in the Open Era with his 64 career titles. 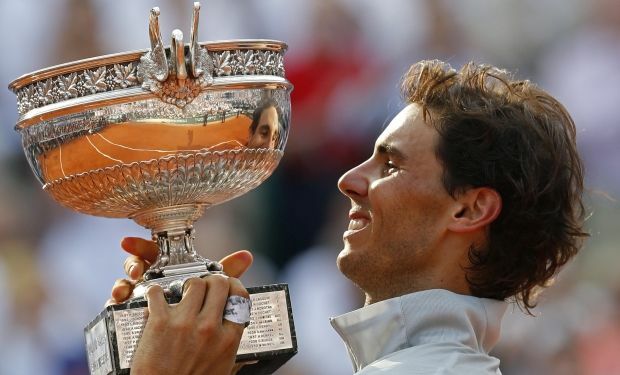 He has so far won a record nine French Open titles and also the Wimbledon title twice. According to the recent ranking by the Association of Tennis Professionals as of 3 November 2014, Serbian professional tennis player Novak Djokovic is currently holding the world No. 1 place. This year he earns a total of $33.1 million which includes $21 million in endorsements from various companies and $12.1 million worth of prize money. Till now, he has achieved a total of $67 million worth of prize money from his active tennis career. Novak Djokovic appeared in various campaigns and TV commercials for several of his major sponsors which include megabrands like Mercedes-Benz, Audemars Piguet, Sergio Tacchini, FitLine and Srbija. He holds the current world’s best position with his 47 career titles. So far, he has won four Australian Open title titles and also the Wimbledon title twice. According to the recent ranking by the Women’s Tennis Association as of 3 November 2014, Russian professional tennis player Maria Sharapova is currently holding the world No. 2 place. This year she earned a total of $24.4 million which includes $22 million in endorsements from various companies and $2.4 million worth of prize money. Till now, she has achieved a total of $31 million worth of prize money from her active tennis career. Maria Sharapova appeared in various campaigns and TV commercials for several of her major sponsors which include megabrands like Nike, Evian, Head, Samsung, Tag Heuer, Motarola, Tiffany and Land Rover. In her active career, so far, she has won 33 WTA titles and 4 ITF Titles. She earned the French Open twice and also the Wimbledon in 2004. According to the recent ranking by the Women’s Tennis Association as of 3 November 2014, Chinese professional tennis player Li Na is currently holding the world No. 9 place. This year she earned a total of $23.6 million which includes $18 million in endorsements from various companies and $5.6 million worth of prize money. Till now, she achieved a total of $16 million worth of prize money from her active tennis career. Li Na appeared in various campaigns and TV commercials for several of her major sponsors which include megabrands like Häagen-Dazs, Visa, Nike, Rolex, Samsung, Mercedes-Benz and Babolat. In her active career so far, she has won 2 WTA titles and 16 ITF Titles. She athechieved the French Open in 2011 and also the Australian Open in 2014. According to the recent ranking by the Women’s Tennis Association as of 3 November 2014, American professional tennis player Serena Williams is currently holding the world No. 1 place. This year she earned a total of $22 million which includes $11 million in endorsements from various companies and $11 million worth of prize money. Till now, she has achieved a total of $63 million worth of prize money from her active tennis career. Serena Williams appeared in various campaigns and TV commercials for several of her major sponsors which include megabrands like Nike, Wilson, Gatorade, OPI, Tampax, Hewlett-Packard, Kraft and Puma. She occupies the position of seventh overall highest in the Open Era with her 64 WTA tour titles. So far, she won five Wimbledon titles and also six US Opens. According to the recent ranking by the Association of Tennis Professionals as of 3 November 2014, British professional tennis player Andy Murray is currently holding the world No. 6 place. This year he earns a total of $19.1 million which includes $15 million in endorsements from various companies and $4.1 million worth of prize money. Till now, he has achieved a total of $33 million worth of prize money from his active tennis career. Andy Murray appeared in various campaigns and TV commercials for several of his major sponsors which include megabrands like Adidas, Head rackets, Royal Bank of Scotland, Highland Spring, Jaguar, Rado watches and Fred Perry. In his active career so far, he has won 31 Career Titles. He won the Wimbledon in 2013 and also the US Open title in 2012. According to the recent ranking by the Women’s Tennis Association as of 3 November 2014, Belarusian professional tennis player Victoria Azarenka is currently holding the world No. 32 place. This year she earned a total of $11.1 million which includes $7.5 million in endorsements from various companies and $3.6 million worth of prize money. Till now, she has achieved a total of $24 million worth of prize money from her active tennis career. 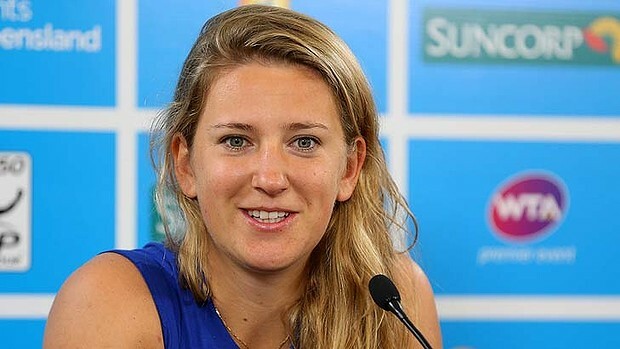 Victoria Azarenka appeared in various campaigns and TV commercials for several of her major sponsors which include megabrands like Nike, Esurance, Wilson, Red Bull and watchmaker Citizen. In her active career so far, she has won 17 WTA titles and 1 ITF Titles. She othebtained the Australian Open twice consecutively in 2012 and 2013. According to the recent ranking by the Association of Tennis Professionals as of 3 November 2014, Japanese professional tennis player Kei Nishikori is currently holding the world No. 5 place. This year he earns a total of $11 million which includes $9 million in endorsements from various companies and $2 million worth of prize money. Till now, he has achieved a total of $7 million worth of prize money from his active tennis career. 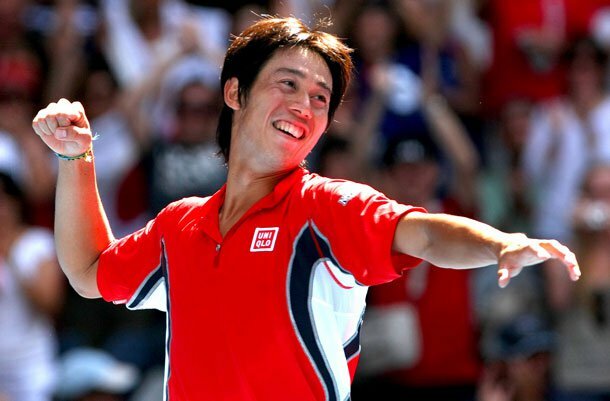 Kei Nishikori appeared in various campaigns and TV commercials for several of his major sponsors which include megabrands like Uniqlo, Wilson, Adidas, Delta Airlines, Weider and Tag Heuer. In his active playing career so far, he has achieved 7 career titles. He is also the recent year’s finalist at the 2014 US Open. According to the recent ranking by the Women’s Tennis Association as of 3 November 2014, Danish professional tennis player Caroline Wozniacki is currently holding the world No. 8 place. This year she earned a total of $10.8 million which includes $9.5 million in endorsements from various companies and $1.3 million worth of prize money. Till now, she has achieved a total of $19 million worth of prize money from her active tennis career. Caroline Wozniacki appeared in various campaigns and TV commercials for several of her major sponsors which include megabrands like Adidas, Yonex, Proactiv, Rolex and Sony Ericsson. In her active playing career so far, she has achieved 22 WTA career titles and 4 ITF titles. She participated in the finals of the US Open Championships twice. 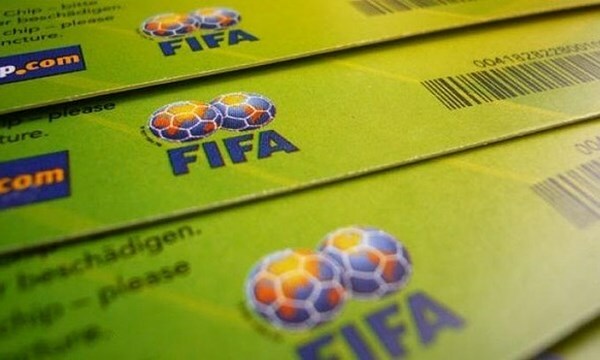 It is expected that there will be changes in the above list, as the new prize amounts, endorsements and cumulative income of the players will not only rise but will possibly affect the rankings of the players. But, for now, all we can say is that be it the new-comers or the big fishes, the prominent names in the world or tennis are satisfied to feature among the 10 richest tennis players, what with the flood of income, along with their impressive career statistics. 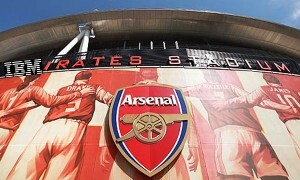 The world of sports is not just about skills and gameplay. It is also a huge deal about glitz and glamour. One of the most glamorous sports is tennis. While today, the appearance of both men and women are given great importance, the women in the world of tennis are particularly placed upon a pedestal if they are glamorous. On the court, female tennis players appear in the best and trendiest sportswear, either from the top manufacturers and fashion designers, or clothes that the players themselves have contributed to. Off the court, tennis players appear at programs, television shows, photo-shoots, shows and many events, all beautifully dressed and styled, catching the attention of many. Tennis players in general end up with lean and well-shaped physique, because of their regular fitness routines. If they are endowed with beauty, they are considered a complete package. They are roped in by many companies, organizations, etc. to make endorsements and appearances, and the result is always a sensuous. So let us consider the Top 10 Hottest Female Tennis Players 2015. Eugenie Bouchard represents her national team Canada and mainly participates in the WTA and ITF tours. She is a current resident of Westmount, Quebec, Canada, and was born on February 25, 1994 in Montreal, Quebec, Canada. Eugenie Bouchard is now just 20 years old with a listed height of 1.78 meters and became a professional in 2009. She is a right-handed tennis star but has the ability of two-handed backhand. She achieved 1 WTA and 6 ITF career titles in her career till now and won total career earnings of $3,726,035. She also made 169 wins and 94 losses since she turned professional in her international tennis career. As of October 27, 2014, Eugenie Bouchard holds the current WTA ranking of World No. 7. On October 20, 2014, she achieved her highest WTA career ranking of World No. 5. Ana Ivanovic represents her national team Serbia and mainly participates in the WTA and ITF tours. She is a current resident of Basel, Switzerland and was born on 6 November 1987 in Belgrade, SFR Yugoslavia. Ana Ivanovic is now just 27 years old with a listed height of 1.84 meters and became a professional in 2003. She is a Right-handed tennis star but has the ability of two-handed backhand. She achieved 15 WTA and 5 ITF career titles in her career till now and won total career earnings of $13,095,256. She also made 437 wins and 190 losses since she turned professional in her international tennis career. As of October 27, 2014, Ana Ivanovic holds the current W TA ranking of world No. 5. On 9 June 2008, she achieved her highest WTA career ranking of World No. 1. Maria Sharapova represents her national team Russia and mainly participates in the WTA and ITF tours. She is a current resident of the United States and was born on April 19, 1987 in Nyagan, Russian SFSR, Soviet Union. Maria Sharapova is now just 27 years old with a listed height of 1.88 meters and became a professional in 2001. She is a right-handed tennis star but has the ability of two-handed backhand. She achieved 33 WTA and 4 ITF career titles in her career till now and won total career earnings of $32,535,202. She also made 557 wins and 133 losses since she turned professional in her international tennis career. As of November 10, 2014, Maria Sharapova holds the current WTA ranking of world No. 2. On August 22, 2005, she achieved her highest WTA career ranking of World No. 1. Mandy Minella represents her national team Luxembourg and mainly participates in the WTA and ITF tours. She is a current resident of Luxembourg and was born on 22 November 1985 1987 in Esch-sur-Alzette, Luxembourg. Mandy Minella is now just 28 years old with a listed height of 1.80 meters and became a professional in 2001. She is a right-handed tennis star but has the ability of two-handed backhand. She achieved no WTA but 5 ITF career titles in her career till now and won total career earnings of $939,370. She also made 324 wins and 271 losses since she turned professional in her international tennis career. As of 20 October 2014, Mandy Minella holds the current WTA ranking of world No. 148. On 17 September 2012, she achieved her highest WTA career ranking of World No. 66. Caroline Wozniacki represents her national team Denmark and mainly participates in the WTA and ITF tours. She is a current resident of Monte Carlo, Monaco and was born on 11 July 1990 in Odense, Denmark. Caroline Wozniacki is now just 24 years old with a listed height of 1.77 meters and became a professional in 2005. She is a right-handed tennis star but has the ability of two-handed backhand. She achieved 22 WTA and 4 ITF career titles in her career till now and won total career earnings of $19,322,865. She also made 436 wins and 169 losses since she turned professional in her international tennis career. 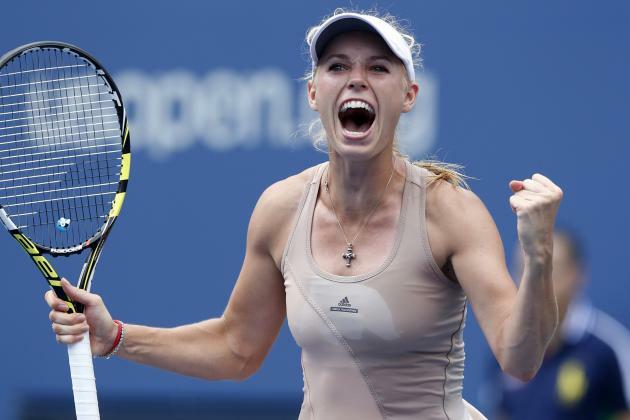 As of October 27, 2014, Caroline Wozniacki holds the current WTA ranking of world No. 8. On 11 October 2010, she achieved her highest WTA career ranking of World No. 1. Sania Mirza represents her national team India and mainly participates in the WTA and ITF tours. She is a current resident of Sialkot, Pakistan and was born on 15 November 1986 in Mumbai, Maharashtra, India. Sania Mirza is now just 28 years old with a listed height of 1.73 meters and became a professional in 2003. She is a right-handed tennis star but has the ability of two-handed backhand. She achieved 1 WTA and 14 ITF career titles in her career till now and won total career earnings of $3,626,294. She also made 271 wins and 161 losses since she turned professional in her international tennis career. As of October 27, 2014, Sania Mirza holds the current WTA ranking of World No. 6 in doubles. On 27 August 2007, she achieved her highest WTA career ranking of World No. 27. Sorana Cirstea represents her national team Romania and mainly participates in the WTA and ITF tours. She is a current resident of Târgovişte, Romania and was born on 7 April 1990 in Bucharest, Romania. Sorana Cirstea is now just 24 years old with a listed height of 1.76 meters and became a professional in 2006. She is a right-handed tennis star but has the ability of two-handed backhand. She achieved 1 WTA and 7 ITF career titles in her career till now and won total career earnings of $2,878,270. She also made 308 wins and 209 losses since she turned professional in her international tennis career. As of October 13, 2014, Sorana Cirstea holds the current WTA ranking of world No. 93. On 12 August 2013, she achieved her highest WTA career ranking of world No. 21. Amandine Hesse represents her national team France and mainly participates in the WTA and ITF tours. She is a current resident of France and was born on 7 April 1990 in Montauban, France. Amandine Hesse is now just 21 years old with a listed height of 1.64 meters and became a professional in 2012. She is a right-handed tennis star but has the ability of two-handed backhand. She achieved no WTA but 3 ITF career titles in her career till now and won total career earnings of $169,319. She also made 156 wins and 141 losses since she turned professional in her international tennis career. As of 10 November 2014, Amandine Hesse holds the current WTA ranking of world No. 200. On 8 September 2014, she achieved her highest WTA career ranking of World No. 183. Maria Kirilenko represents her national team Russia and mainly participates in the WTA and ITF tours. She is a current resident of Moscow, Russia and was born on 25 January 1987 in Moscow, Russian SFSR, Soviet Union. Maria Kirilenko is now just 27 years old with a listed height of 1.74 meters and became a professional in 2001. She is a right-handed tennis star but has the ability of two-handed backhand. She achieved 6 WTA and 3 ITF career titles in her career till now and won total career earnings of $6,809,494. She also made 361 wins and 255 losses since she turned professional in her international tennis career. As of 15 September 2014, Maria Kirilenko holds the current WTA ranking of world No. 155. On 10 June 2013, she achieved her highest WTA career ranking of World No. 10. 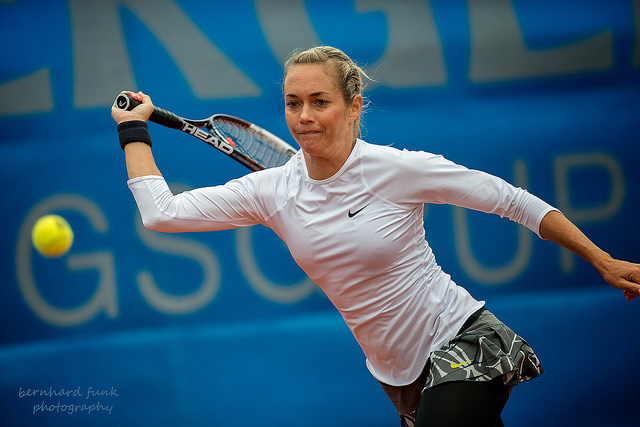 Klara Koukalova represents her national team Czech Republic and mainly participates in the WTA and ITF tours. She is a current resident of Prague, Czech Republic and was born on 24 February 1982 in Prague, Czechoslovakia. Klara Koukalova is now just 32 years old with a listed height of 1.66 meter and became a professional in 1999. She is a right-handed tennis star but has the ability of two-handed backhand. She achieved 3 WTA and 7 ITF career titles in her career till now and won total career earnings of $3,674,547. She also made 475 wins and 392 losses since she turned professional in her international tennis career. As of November 10, 2014, Klara Koukalova holds the current WTA ranking of world No. 40. On 15 April 2013, she achieved her highest WTA career ranking of World No. 20. We are all aware of how important the appearance of celebrities is. 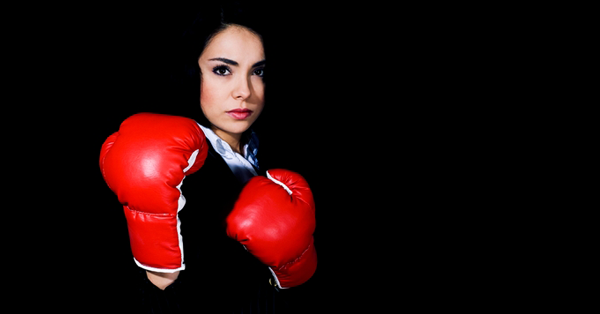 Especially in the case of women, looks are given extreme importance, sometimes even more than their talent. 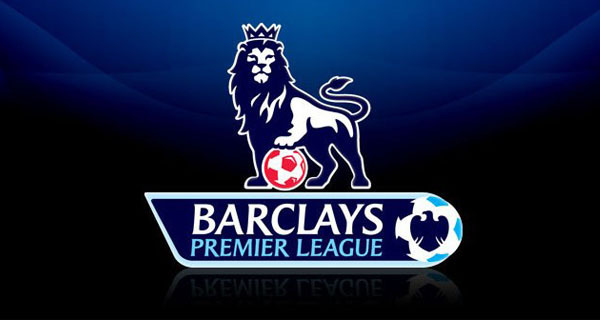 Many of the fans select their favourites on the basis of the glamour of the players, rather than taking into consideration the talent of the player. This kind of judgmental attitude towards players is likely to take a toll on the game, as the women who have average looks but great talent will always be scared of being judged and refrain from taking part in the game. Besides, the focus will shift from the true spirit of the game and the talent of the players to superficial glamour quotient. The world is just as crazy about tennis players as it is about Hollywood celebrities and models. There’s enough reason, too. The tennis players, with the perfectly shaped athletic physique, pinkish flush on the perfectly tanned skin and well-designed clothes, are extremely attractive. They not only are glamour dolls at the different events they attend, but also on the court. Tennis players are among the most beautiful women in the world of sports, and when they come with an addition of a cute face, they are just the complete package. They are on magazine covers of swimsuit editions, and on calendars posing to heighten the room temperature. Moments before they reach the court, fans hold their breath as they wait to find out what new look their favourite player will sport. 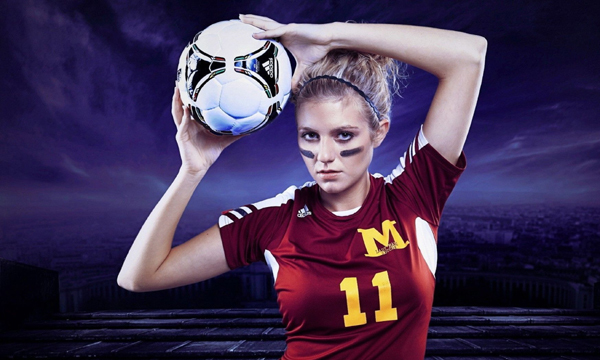 Some of the players attract a lot of attention with their beauty and glamour. So let us take a look at the Top 10 Most Beautiful Female Tennis Players 2015. Born on the 24th of February, 1982 in Czechoslovakia, Klara Koukalova is now a resident of Prague in Czech Republic. In ITF and WTA, this 32 year of tennis player represents the national team of Czech Republic. Her listed height is 1.66 meters, and she gives excellent two-handed backhand performances, even though she is mainly a right-handed player. Her professional career as a tennis player began in the year 1999, and since then, she has been able to earn $3,674,547 worth of total career earnings, with 3 WTA and 7 ITF titles under her belt. She has achieved 475 victories, as opposed to 392 losses, during her active career in international tennis, and according to WTA ranking, she stands at the current ranking of World No. 40, as of November 10, 2014. She was at World No. 20, her career best ranking, as of April 15, 2013. She is considered one of the most attractive women in the sport of tennis. Born on the 25th of January, 1987 in Russian SFSR, Soviet Union, Maria Kirilenko is now a resident of Moscow in Russia. In ITF and WTA, this 27 year of tennis player represents the national team of Russia. Her listed height is 1.74 meters, and she gives excellent two-handed backhand performances, even though she is mainly a right-handed player. Her professional career as a tennis player began in the year 2001, and since then, she has been able to earn $6,809,494 worth of total career earnings, with 6 WTA and 3 ITF titles under her belt. She has achieved 361 victories, as opposed to 252 losses, during her active career in international tennis, and according to WTA ranking, she stands at the current ranking of World No. 155, as of September 15, 2014. She was at World No. 10, her career best ranking, as of June 10, 2013. She is counted among the prettiest of tennis players. Born on the 16th of January, 1990 in Montauban in France, Amanda Hesse is now a resident of France. In ITF and WTA, this 24 year of tennis player represents the national team of France. Her listed height is 1.64 meters, and she gives excellent two-handed backhand performances, even though she is mainly a right-handed player. Her professional career as a tennis player began in the year 2012, and since then, she has been able to earn $169,319 worth of total career earnings, with 0 WTA and 3 ITF titles under her belt. She has achieved 156 victories, as opposed to 141 losses, during her active career in international tennis, and according to WTA ranking, she stands at the current ranking of World No. 100, as of November 10, 2014. She was at World No. 183, her career best ranking before her current position, as of September 8, 2014. She is among the most beautiful female players who play tennis. Born on the 7th of April, 1990 in Bucharest in Romania, Sorana Cristea is now a resident of Târgovişte. In ITF and WTA, this 24 year of tennis player represents the national team of Romania. Her listed height is 1.76 meters, and she gives excellent two-handed backhand performances, even though she is mainly a right-handed player. Her professional career as a tennis player began in the year 2006, and since then, she has been able to earn $2,878,270 worth of total career earnings, with 1 WTA and 7 ITF titles under her belt. She has achieved 308 victories, as opposed to 209 losses, during her active career in international tennis, and according to WTA ranking, she stands at the current ranking of World No. 93, as of October 13, 2014. She was at World No. 21, her career best ranking, as of August 12, 2013. She is counted among the prettiest faces in the world of tennis. Born on the 14th of November, 1986 in Mumbai, Maharashtra in India, Sania Mirza is now a resident of Sialkot I Pakistan. In ITF and WTA, this 28 year of tennis player represents the national team of India. Her listed height is 1.73 meters, and she gives excellent two-handed backhand performances, even though she is mainly a right-handed player. Her professional career as a tennis player began in the year 2003, and since then, she has been able to earn $3,626,294 worth of total career earnings, with 1 WTA and 14 ITF titles under her belt. She has achieved 271 victories, as opposed to 161 losses, during her active career in international tennis, and according to WTA ranking, she stands at the current ranking of World No. 6, as of October 27, 2014, after she slid down from World No. 5 on July 7, 2014. She was at World No. 27, which was her career best ranking before this, as of August 27, 2007. She is well-known for presenting her traditional Indian beauty in a modern style. 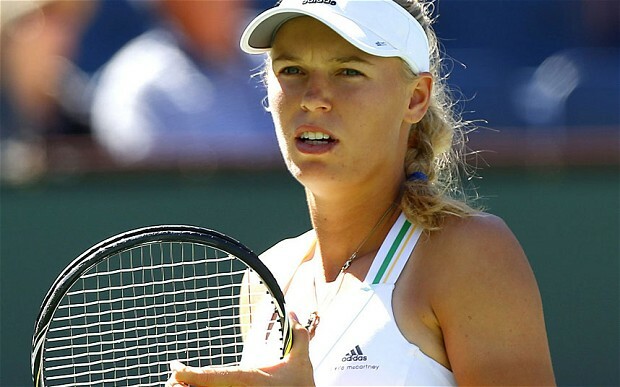 Born on the 11th of July, 1990 in Odense in Denmark, Caroline Wozniacki is now a resident of Târgovişte. In ITF and WTA, this 24 year of tennis player represents the national team of Romania. Her listed height is 1.77 meters, and she gives excellent two-handed backhand performances, even though she is mainly a right-handed player. Her professional career as a tennis player began in the year 2005, and since then, she has been able to earn $19,322,865 worth of total career earnings, with 22 WTA and 4 ITF titles under her belt. She has achieved 436 victories, as opposed to 169 losses, during her active career in international tennis, and according to WTA ranking, she stands at the current ranking of World No. 8, as of October 27, 2014. She was at World No. 1, her career best ranking, as of October 11, 2010. Besides, she has also received attention for adding glamour to the sport. Born on the 22nd of November, 1985 in Esch-sur-Alzette in Luxembourg, Mandy Minella is now a resident of Luxembourg. In ITF and WTA, this 29 year of tennis player represents the national team of Luxembourg. Her listed height is 1.80 meters, and she gives excellent two-handed backhand performances, even though she is mainly a right-handed player. Her professional career as a tennis player began in the year 2001, and since then, she has been able to earn $939,370 worth of total career earnings, with 0 WTA and 9 ITF titles under her belt. She has achieved 324 victories, as opposed to 271 losses, during her active career in international tennis, and according to WTA ranking, she stands at the current ranking of World No. 148, as of October 20, 2014. She was at World No. 66, her career best ranking, as of September 17, 2012. She is counted among the hottest of female tennis players. Born on the 19th of April, 1987 in Nyagan, Russian SFSR in Soviet Union, Maria Sharapova is now a resident of The United States. In ITF and WTA, this 27 year of tennis player represents the national team of Russia. Her listed height is 1.88 meters, and she gives excellent two-handed backhand performances, even though she is mainly a right-handed player. Her professional career as a tennis player began in the year 2001, and since then, she has been able to earn $32,535,202 worth of total career earnings, with 33 WTA and 4 ITF titles under her belt. She has achieved 557 victories, as opposed to 133 losses, during her active career in international tennis, and according to WTA ranking, she stands at the current ranking of World No. 2, as of November 10, 2014. She was at World No. 1, her career best ranking, as of August 22, 2005. She is one of the most beautiful athletes, not only in tennis but in the entire industry of sports. 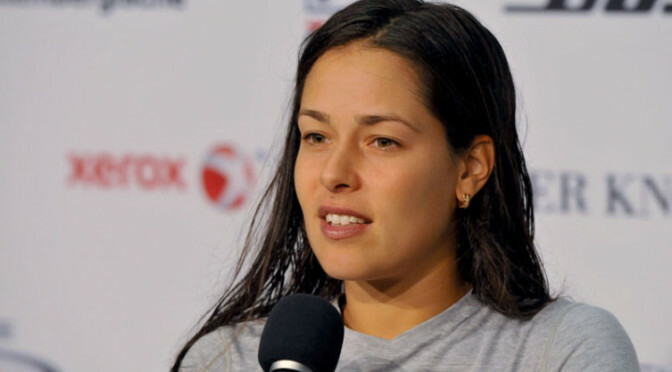 Born on the 6th of November, 1987 in Belgrade, SFR Yugoslavia, Ana Ivanovic is now a resident of Basel in Switzerland. In ITF and WTA, this 27 year of tennis player represents the national team of Serbia. Her listed height is 1.84 meters, and she gives excellent two-handed backhand performances, even though she is mainly a right-handed player. Her professional career as a tennis player began in the year 2003, and since then, she has been able to earn $13,095,256 worth of total career earnings, with 15 WTA and 5 ITF titles under her belt. She has achieved 437 victories, as opposed to 190 losses, during her active career in international tennis, and according to WTA ranking, she stands at the current ranking of World No. 5, as of October 27, 2014. She was at World No. 1, her career best ranking, as of June 9, 2008. She is one of the prettiest players in the tennis world. Born on the 25th of February, 1994 in Montreal, Quebec in Canada, Eugenie Bouchard is now a resident of Westmount in Quebec. In ITF and WTA, this 20 year of tennis player represents the national team of Serbia. Her listed height is 1.78 meters, and she gives excellent two-handed backhand performances, even though she is mainly a right-handed player. Her professional career as a tennis player began in the year 2009, and since then, she has been able to earn $3,726,035 worth of total career earnings, with 1 WTA and 6 ITF titles under her belt. She has achieved 169 victories, as opposed to 94 losses, during her active career in international tennis, and according to WTA ranking, she stands at the current ranking of World No. 7, as of October 27, 2014. She was at World No. 5, her career best ranking, as of October 20, 2014. This young face adds an element of freshness to the game of tennis with her natural charm. Glamour and cuteness, glammed up in the best attire, seem to have become an eternal part of the game of tennis. The viewership of tennis is worldwide, and many millions of people seem to put some of the tennis players upon a higher pedestal than the rest simply on the basis of the looks. Many players make their mark in the world of tennis with their talent, but many more do so with their looks. Unfortunately, if this is allowed to continue, the chances are the real focus will shift from the true talent of the players and will only highlight the superficial beauty, hence affecting the sport negatively over time. Every once in a while, we get to watch a historical match in a sport, where the day is saved by a player who descends like an angel and, with one hit, one, goal, or one shot, changes the whole game. Such a player might be an underdog, but, on his special day, he breaks all stereotypes associated with his name, and shows excellent form. It often happens that even after such a sudden display of great skill and technique, the player may never be found to play such a great match again. 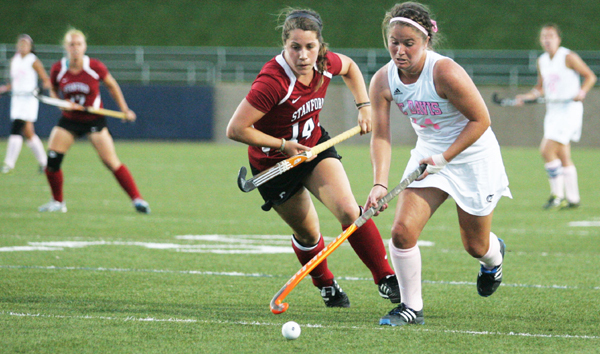 Such players, the one hit wonders, are there in almost every sport. 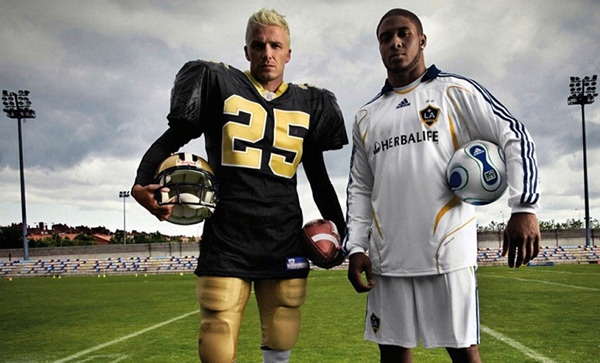 Let us look at the Top 10 One Hit Wonders of Sports. 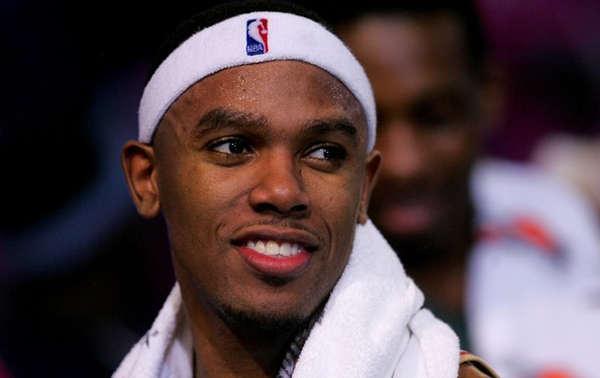 Daniel Hiram Gibson, fondly known as Booby or Boobie, is a basketball player who is seen playingin the NBA playing for the Cleveland Cavaliers. 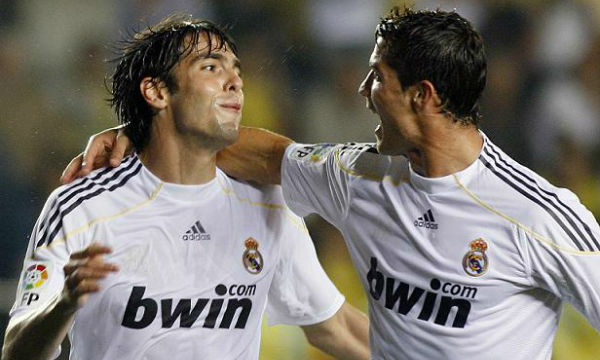 His professional career began in 2006. He is quite well-known for the contribution he made to his team during the playoff run in 2007. In the same year, the Cavaliers succeeded in breaking past the Detroit Pistons, and made it to the finals of the NBA. In Game 6 of the finals of Eastern Conference against Detroit, Gibson managed to score 19 coming in the fourth quarter. However, so far, this seems to have been the only highlight of his career since then. In fact, in the recent history of basketball, Gibson has proven himself to be quite a one-hit wonder, though he still has some chance to shine. In the 1997 French Open, former tennis player from Croatia, Iva Majoli Marić, appeared for times straight in the quarterfinals, and she gained a surprise French Open title in that run. In an upset match against the then world no. 1, Martina Hingis, Majoli snatched up her singles title. She also defeated fifh seed Lindsay Davenport in the fourth round. These apart, she has no other record of beating any other top ranked player. After the French Open win, she was seen in the Wimbledon quarterfinals, and also reached the quarters of the French Open in the following year, but, didn’t display any memorable match. This being her last appearance in the advanced levels of the Grand Slam, Majoli retired in June, 2004. 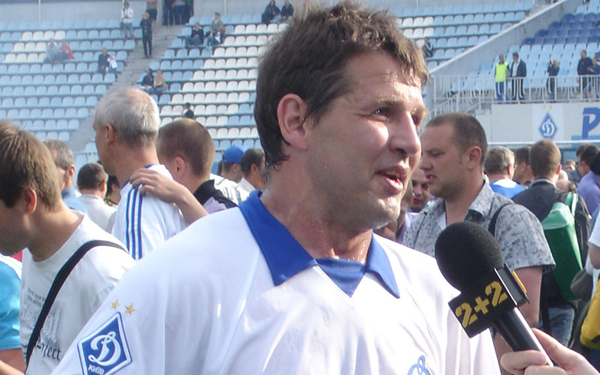 Oleg Anatolyevich Salenko is a former soccer player from Russia who played as a striker in the national team. His career began in 1986. He went into the FIFA World Cup in the year 1994, despite having never scored a single international goal. Prior to that year, he had a solitary cap for Russia for his name. In the most striking tournament of his life, he began his journey of goals with his first one against Sweden. Then, he scored five goals past Cameroon whom Russia defeated by 6-1, a record in the group stage of the tournament. Russia couldnt progress past the groups. However, Salenko’s astonishing performance won him the Golden Boot. Shockingly, Russia never picked him again in his career, which lasted till 2000. 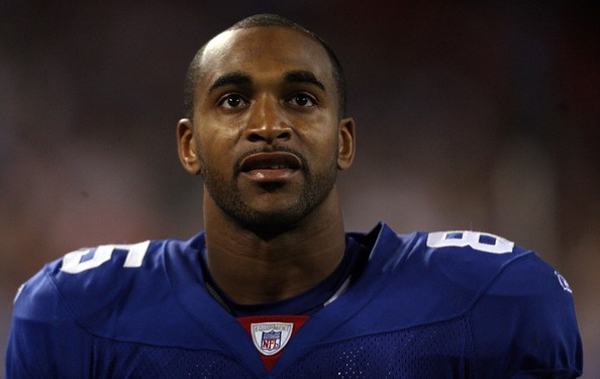 David Mikel Tyree is a former American footballer who played as a wide receiver in the NFL for seven seasons. He is known for miraculous helmet catch in the final drive of Super Bowl XLII of the New York Giants. He made a memorable moment in the history of Super Bowl as, in the waning moments of the game, when the Giants required to convert a first down to have a shot at beating the opponents, Eli Manning dropped back and broke a few tackles, and then tossed the ball to Tyree who caught it, and kept the drive alive, as his team won 17-14. Despite his shining moment, Tyree never managed to shine through again. He is primarily remembered for the Helmet Catch. He retired in 2010 with 650 receiving yards and four touchdowns. Thomas Edgar Cheney was a baseball player who played in the MLB from 1957 and continued till 1966. 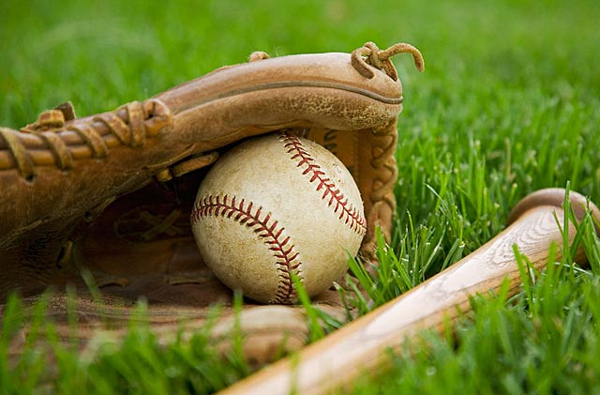 Though not a very popular player, Cheney, a right-handed pitcher, has his name in the history of baseball for his record in the major league for an amazing 21 strikeouts in a single game. The most sensational part of the story is that he did it all within a matter of just 16 innings. In the 1962 match against Baltimore Orioles, when he played for Washington Senators, Cheney pitched all 16 seasons, throwing an unbelievable 228 pitches. Washington Senators won 2-1. However, Cheney’s arm didn’t help him give any more such performance. 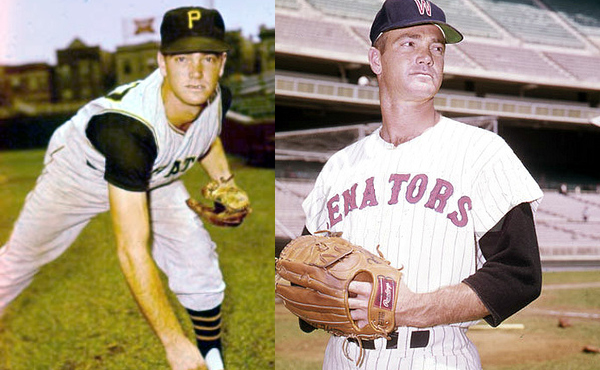 He managed to throw only 136.1 innings in the following season, and dropped further to 48.2 in 1964. Richard Wayne Dumas is a retired basketball player who was associated with the NBA, and had a professional career from 1990 to 2003. 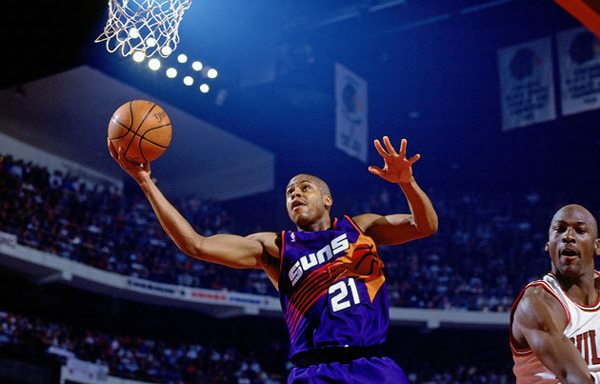 He was considered one of the most promising players playing for the Phoenix Suns, back in the early 90s. His most memorable season was in 1993, when he helped his team make it to the finals of the NBA. He had an average of 15.8 ppg and 4.6 rpg. His career best play was when he reached the score of 25 points in the 5th game of the 1993 NBA Finals, and he showed all the qualities in that season to become a great player. Unfortunately, that was his only success in the NBA, since in the following years, he was in the clasps of substance abuse, until by 1997, he was out of a roster spot. Karl Thomas Conny Johansson, former tennis player from Sweden, appeared in 46 Grand Slams, out of which he managed to advance past the fourth round only four times. 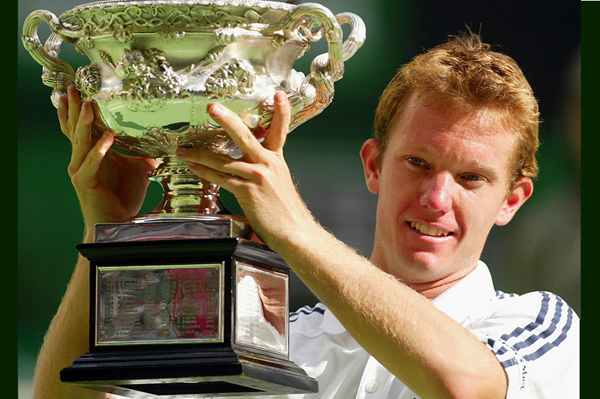 His 2002 Australian Open championship was quite a surprise: he had never before gone past the third round in Melbourne out of his 13 appearances. Only in the US Open 1998 and 2000 had he managed to advance that far in the Grand Slam. In the 2002 Australian Open, the top six seeds had already been knocked out in the first few rounds, and Johansson faced only three of the ranked players, the most notable being Marat Safin. He was the silver medallist in the doubles. His run to the 2005 Wimbledon semi-final was his only other notable match in such an advanced level in his career. He declared his retirement in June, 2009. 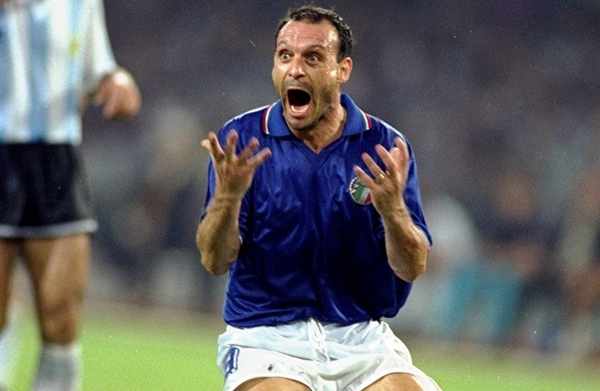 Salvadore Schillaci was more commonly and fondly known as Toto. This former Italian soccer player began his moderate football career in 1982. But, he is remembered as the surprise star of the World Cup Ilatia 1990. Though he started off in the tournament as a substitute player in the first match, he brought on quite a surprise with his 6 goals throughout World Cup, thus paving his way to the Golden Boot, as well as the Golden Ball beating LotharMatthäus and Diego Maradona. 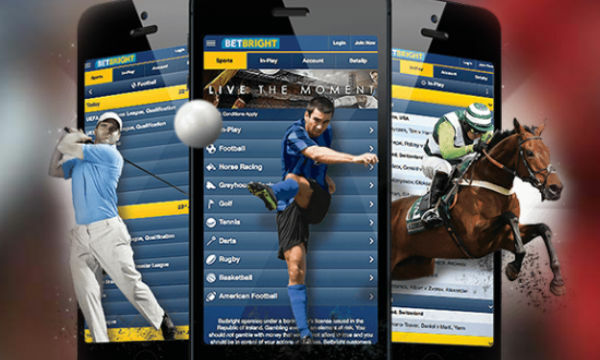 He had an Australian thoroughbred racehorse named after him. But, this was his ‘one hit’, and managed just seven goals for his country in his entire career. 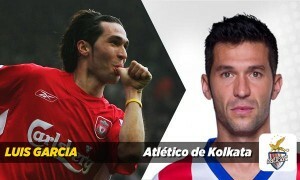 In four seasons of league football, he scored five-six goals in each whole campaign. He retired in 1997. Timothy LaRay Smith is a former American football player who played as the running back in NFL. He had a short career of three years in the NFL, which started in the year 1987. He is best remembered for his memorable rushing record in the Super Bowl XXII in 1988, as he gained 204 yards, and scored two touchdowns. 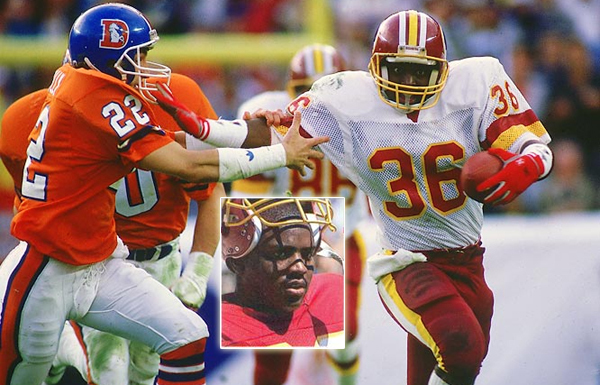 He played for the Washington Redskins from 1987 to 1988, and in his first season as a rookie, his performance allowed his team to beat the Denver Broncos 42-10. Naturally, there were some great expectations placed upon him in the next season, as well. However, he let down his fans and team as his ‘one hit’ went straight to his head, and he began to lead a life of drug abuse. The injuries didn’t help much, either, and he retired in 1990. John Francis Paciorek is a former baseball player whose remarkable display of skill started and ended in 1963. To be more precise, he played just one match in his major-league career. After the expansion of the rosters in September, he started as the right fielder in the final game of the season for the Houston Colts .45s. He managed to go to the plates five times, and hit three singles and drew two walks, thus scoring four runs. He drove in all three runs of his team. He has a perfect career batting average, with an on-base percentage of 1.000. 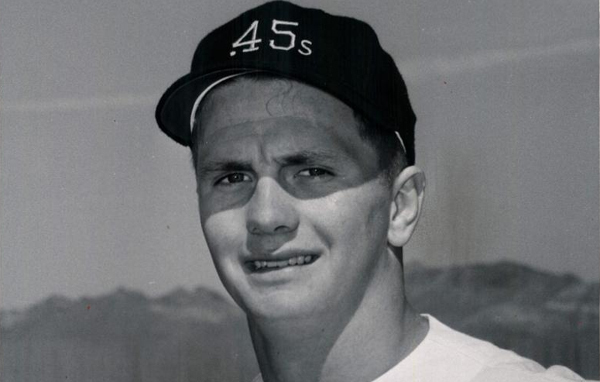 He also appeared in the pre-season exhibition game in 1964, but, his back injuries made him miss the season, after which he only played minor leagues. He is undoubtedly the exemplary one-hit wonder. Such one hit wonders may not be known in the history of sports as greatest players; they may not have made it to the best awards, but, their match-saving games are definitely remembered with fondness, and they are thanked by sports fans all over the world for presenting matches with some of the greatest surprises, setting the adrenaline gushing through the body with their unexpected miracles.